Before we started planting in the community garden, Geoff Dann (a local foraging expert) identified a wide variety of plants already growing there. We’ve put together some information (taken mainly from Wikipedia!) on the plants found, all the photos were taken in the garden. Find out how you can make use of them (all use is at your own risk!). Blooming in late spring, early summer, Rosy Garlic is an edible, Old World species of wild garlic. It is used as a flavouring in salads and cooked foods. Although no specific medicinal uses are known members of this genus are in general very healthy additions to the diet. They contain sulphur compounds and when added to the diet on a regular basis they help reduce blood cholesterol levels, act as a tonic to the digestive system and also tonify the circulatory system. Apparently there have been cases of poisoning caused by the consumption, in large quantities and by some mammals, of certain members of this genus. 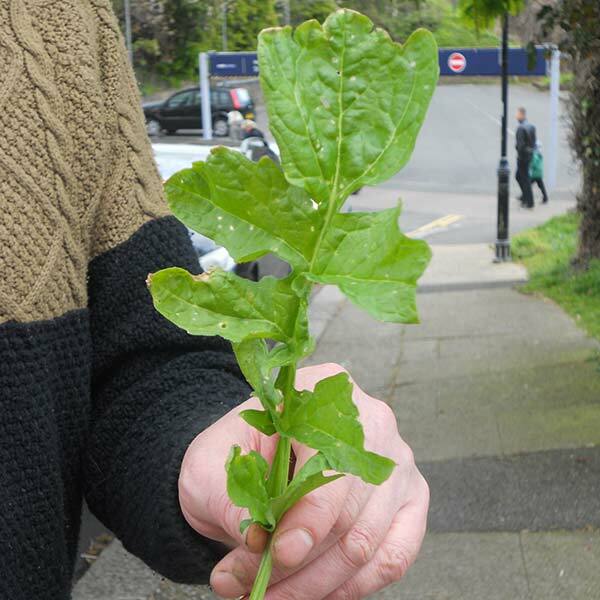 The plant is a member of the mustard family (Brassicaceae), and is edible as a bitter herb, peppery like rocket. Bittercress has an explosive seed mechanism by which seeds can be dispersed up to 1m (3ft) away or considerably further if carried by the wind. 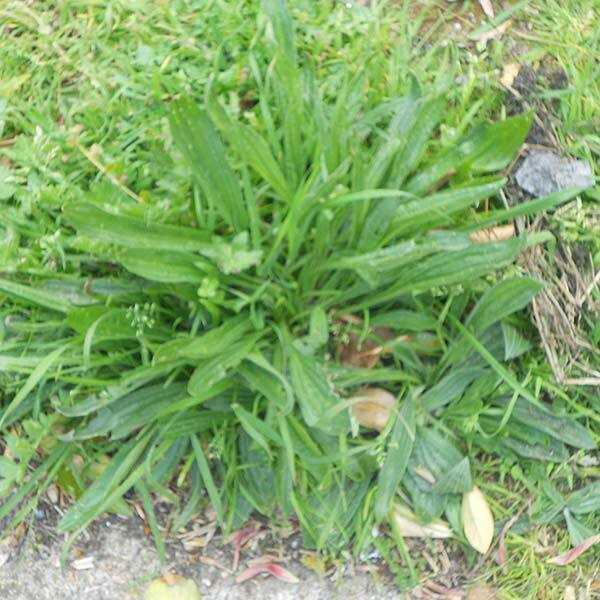 As with all annual weeds it is essential to destroy it before seed can be produced. As other plants from this family (Brassicacea), this one is also loaded with vitamin C, calcium, magnesium, beta carotene, antioxidants and sulfur-containing compounds that boost immunity and help in cancer prevention. White mustard seeds are hard round seeds, usually around 1.0 to 1.5 mm (0.039 to 0.059 in) in diameter,with a color ranging from beige or yellow to light brown. They can be used whole for pickling or toasted for use in dishes. When ground and mixed with other ingredients, a paste or more standard condiment can be produced. White mustard is an herb. The seeds are used to make medicine. People take white mustard for “clearing the voice,” preventing infection, causingvomiting, increasing urine flow (as a diuretic) to relieve water retention, and increasing the appetite. Some people apply white mustard directly to the affected area for cough and colds, chest congestion, bronchitis, swollen joints, arthritis-like pain (rheumatism), osteoarthritis, back pain (lumbago), and sore mouth and throat. Its root is good for all diseases of the urinary passages, and the seeds are good in disorders of the stomach and bowels, and also operate by urine. Root is edible cooked, tastes like celery. The aromatic leaves and seed are used as a condiment. It is a carminative, diaphoretic, diuretic. Ribwort plantain has a wide range of medicinal applications. Research suggests that the leaf is an effective anti-inflammatory and antibacterial agent. It also has astringent properties. All of these properties combined make plantain one of the most effective herbal remedies for topical treatment of various skin conditions. It is also particularly effective for speeding cell growth and healing wounds, as it contains the chemical allantoin. With no known side effects, ribwort plantain is a particularly safe and effective herbal treatment with the potential to ease a wide variety of conditions. 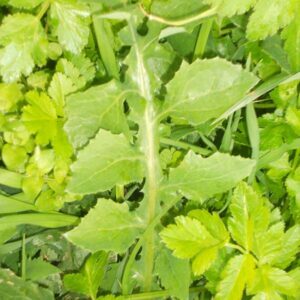 As an astringent, the herb is able to assist in the healing of wounded tissue, hemorrhoids, skin ulcers, and other lesions or sores. Respiratory infection, bronchitis, asthma, and emphysema respond well to treatment with plantain, as it has a demulcent effect. This property also makes it effective for treating urinary tract infections, irritable bowel syndrome, gastritis and diarrhea. Nettle (also known as Stinging Nettles) has been used for centuries to treat allergy symptoms, particularly hayfever which is the most common allergy problem. It contains biologically active compounds that reduce inflammation. 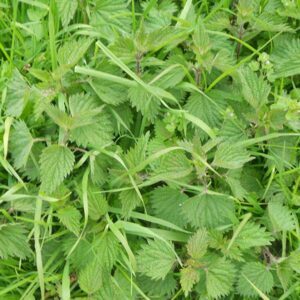 Nettle has been studied extensively and has shown promise in treating Alzheimer’s disease, arthritis, asthma, bladder infections, bronchitis, bursitis, gingivitis, gout, hives, kidney stones, laryngitis, multiple sclerosis, PMS, prostate enlargement, sciatica, and tendinitis. Externally it has been used to improve the appearance of hair, it is said to be a remedy against oily hair and dandruff. Also there are loads of ways to eat them. DO NOT EAT IF YOU HAVE LIVER PROBLEMS. Leaves are edible, raw or cooked, or added to drinks as a flavouring. The flowers are used in salads. There are multiple health benefits one can get from taking borage as a herbal supplement. One of the most important nutrients in borage is essential fatty acids, something our body needs for good health. Borage is also packed with other healthy nutrients that are great for the body. Borage is a good herbal supplement for women because it contains high levels of calcium and iron, nutrients many women are deficient in. Potassium, Zinc, B and C vitamins, and beta carotene are packed into the borage plant making it very nutritional. The adrenal glands in our body work very hard all day to prepare our body for fight or flight situations, constantly releasing adrenalin into the body. Adrenal fatigue can occur when the body is overstressed. Borage is used to restore the adrenal glands to their natural balance, which in turn creates a calmer body and mind. Borage is well known for its soothing qualities and has been used to treat nervous conditions. Its natural sedative effects have been used for lifting the spirits and softening the nervous edge some people experience. Borage works well to ease the depression and mood swings often associated with menopause and menstrual cycles as well and is a nice alternative to traditional prescription medications. There are many current ongoing studies involving the health benefits of borage. Borage is currently being researched as a possible treatment for rheumatoid arthritis because of its anti-inflammatory properties. Because of research like this, borage is now known to reduce itch and dryness associated with certain skin disorders such as eczema and dermatitis. The dried leaves can be brewed into a tea, which has been said to have a refreshing cucumber like flavor. 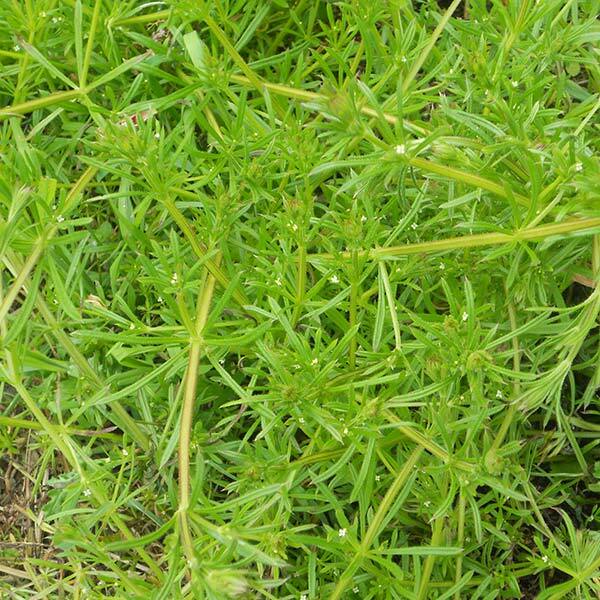 Galium aparine is edible. The leaves and stems of the plant can be cooked as a leaf vegetable if gathered before the fruits appear. 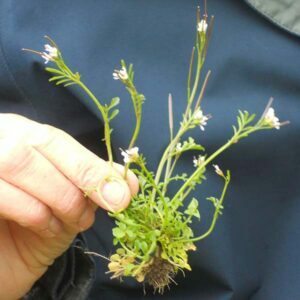 However, the numerous small hooks which cover the plant and give it its clinging nature can make it less palatable if eaten raw. 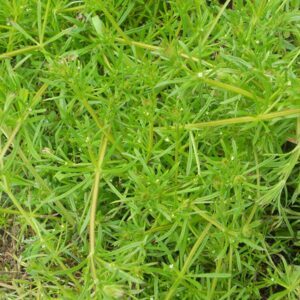 Geese thoroughly enjoy eating G. aparine, hence one of its other common names, “goosegrass”. Cleavers are in the same family as coffee. The fruits of cleavers have often been dried and roasted, and then used as a coffee substitute which contains less caffeine. Poultices and washes made from cleavers were traditionally used to treat a variety of skin ailments, light wounds and burns. As a pulp, it has been used to relieve poisonous bites and stings. 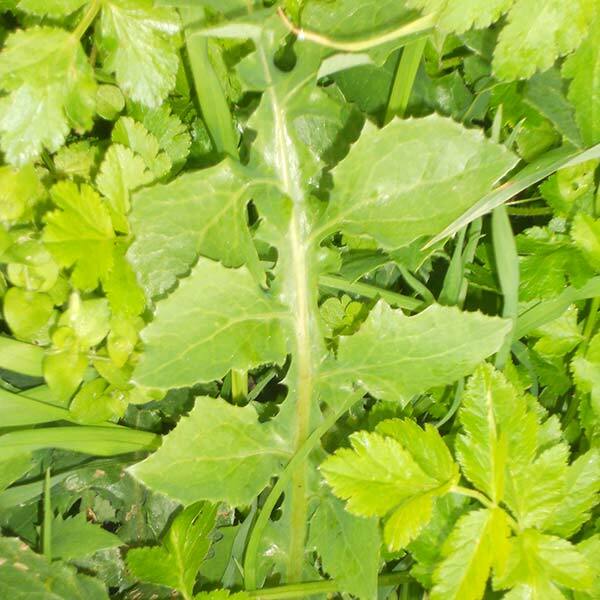 To make a poultice, the entire plant is used, and applied directly to the affected area. 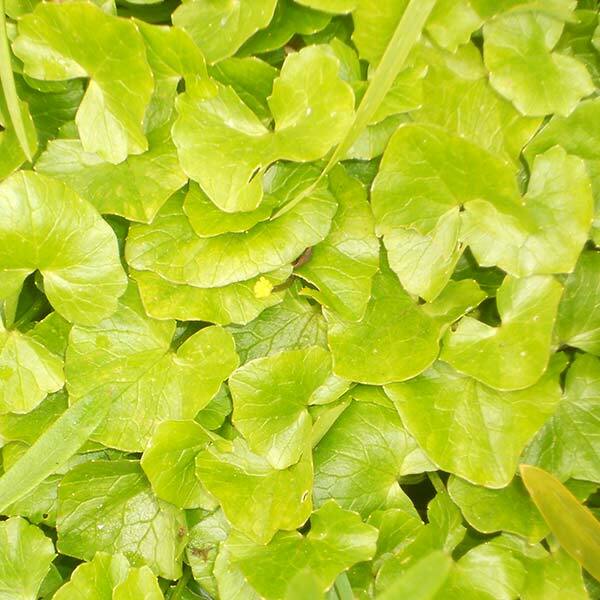 In Europe, the dried, matted foliage of the plant was once used to stuff mattresses. Several of the bedstraws were used for this purpose because the clinging hairs cause the branches to stick together, which enables the mattress filling to maintain a uniform thickness. The roots of cleavers can be used to make a permanent red dye. 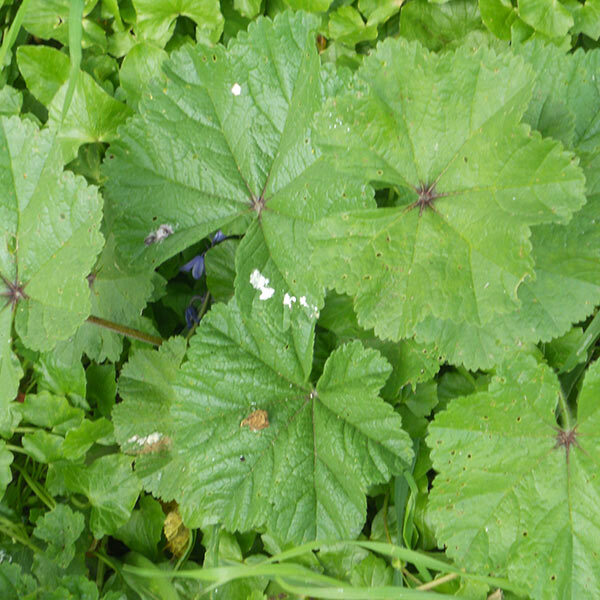 As with many wild food plants, the common mallow has also had a long history of medicinal use. Due to its high mucilage content, mallows make excellent soothing demulcent herbs, especially for cases of inflammation, either for the urinary, digestive or respiratory systems. All of the Mallow family with exception of the cotton plant (Gossypium hirsutum), are reportedly edible. 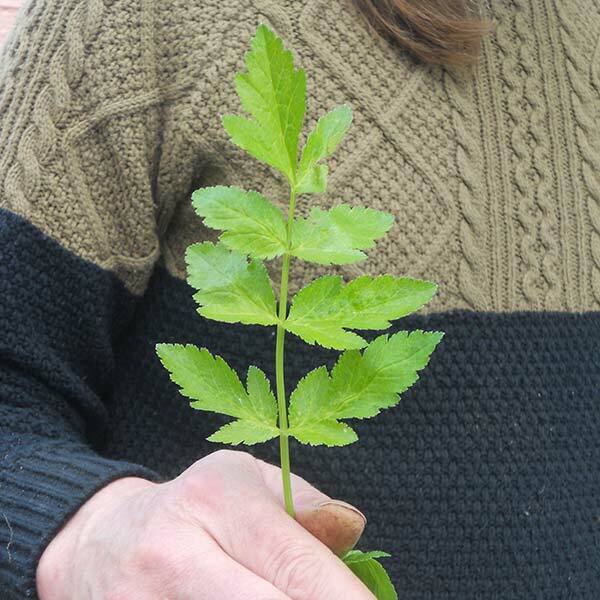 With their high mucilage content, the leaves can usefully be taken as an emergency antidote to irritation or burning that may be caused by the accidental consumption of acrid plants in the buttercup family. Creative cooks can substitute mallow for spinach in many dishes, including soups, salads, gnocchi and quiche. You can even flash-fry larger mallow leaves for just one second in hot oil to make ‘popadoms’. Mallow also makes a great addition to soups, whereby the mucilage helps to thicken them. The seed pods can be substituted for most of the egg white if wanting to make mallow meringues. Simply boil up the peeled seed pods using 3 parts water 1 part seed pods, and reduce the liquid by half. For every half cup of liquid add one egg white, ¼ tsp of cream of tartar, some vanilla and castor sugar, then whip it up until foamy and stiff, just like meringues. Leaves edible before the plant flowers. Also has edible tubers. 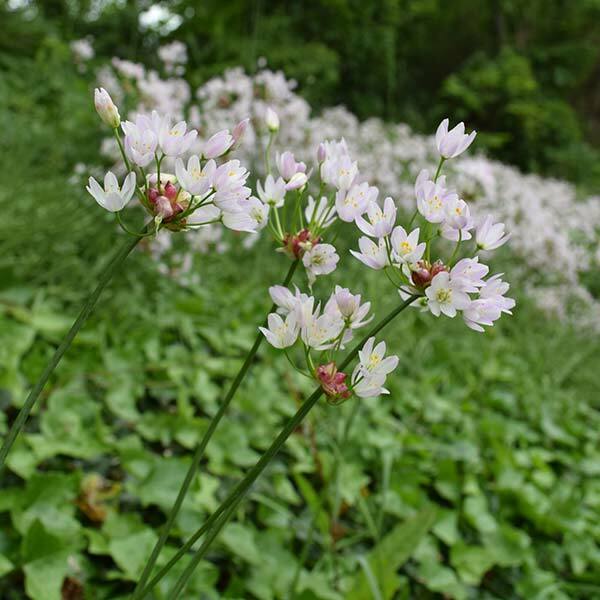 The plant is known as pilewort by some herbalists because it has historically been used to treat piles (hemorrhoids). Lesser celandine is still recommended in several “current” herbal guides for treatment of hemorrhoids by applying an ointment of raw leaves as a cream or lanolin to the affected area. Most guides today point out that medicines should be made from the dried herb or by heat extraction as the untreated plants and extracts will contain protoanemonin, a mild toxin. The plant has been widely used in Russia and is sold in most pharmacies as a dried herb. The protoanemonin found in fresh leaves is an irritant and mildly toxic but is suggested to have antibacterial properties if used externally. The process of heating or drying turns the Ranunculaceae toxin to anemonin which is non-toxic and may have antispasmodic andanalgesic properties. The health benefits of dandelion include relief from liver disorders, diabetes, urinary disorders, acne, jaundice,cancer and anemia. It also helps in maintaining bone health, skin care and is a benefit to weight loss programs. 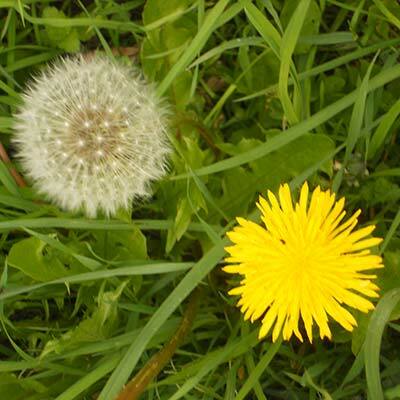 Dandelion, which literally translates into “lion’s tooth” in French, is rich in vitamin-A, C, iron and calcium and detoxifiers which explains its common inclusion in medicines. Can be made into a wine. Fresh chickweed contains high amounts of vitamin C, as well as vitamins A, D and B. 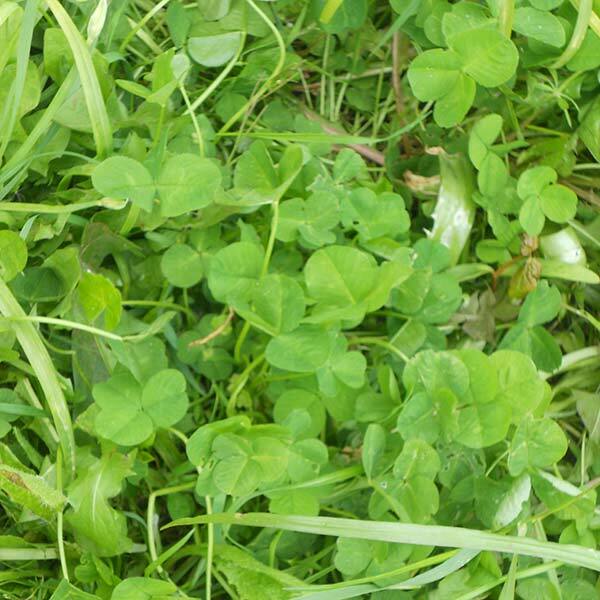 Iron, calcium and potassium can also be found in chickweed. Weight loss: Chickweed has traditionally been said to aid weight loss. This weed both curbs appetite and acts as a diuretic, helping its eaters to lose water weight. 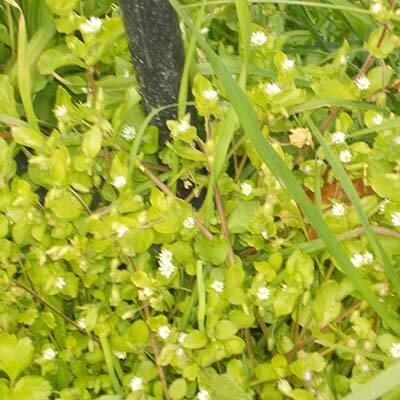 Respiratory ailments: Chickweed can soothe mucus membranes and help relieve many respiratory conditions, including asthma, allergies and bronchitis, as well as itchy, inflamed eyes. Research has even shown that chickweed canprevent the growth of bacteria that leads to tuberculosis. Skin care: Chickweed’s soothing properties also extend to skin care. Chickweed can soothe inflamed and irriated skin conditions such as acne, eczema, rashes and burns, as well as heal cuts. In spite of its spiny character, the Ox Tongue was used as a pot-herb in the same manner as the Sow Thistles, but can only be eaten when young- They contain high levels of omega 3 oils. Once you’ve cooked the plants in salted water, you can use them in various ways: for the purists amongst you, simply dressed with oil and lemon, otherwise sautéed with garlic, oil and chili pepper, or used in a frittata, in a quiche or on a pizza. My suggestion is that you serve them in a Parmesan basket: you grate the Parmesan cheese, you put it in a non-stick pan over a lively flame and then, when the Parmesan has melted but before it cools down and hardens, you put it into a small bowl or a glass to shape it into the form of a shell or basket. Serve your little basket full of cooked greens for a guaranteed success! Seeds are edible (cooked), but of poor quality. Known to have been dried and ground and then used to bulk up flour. Leaves and shoots also edible (cooked). A member of the pea family (legumes), Common Vetch is able to make its own nitrates, a special nutrient essential for healthy plant growth. 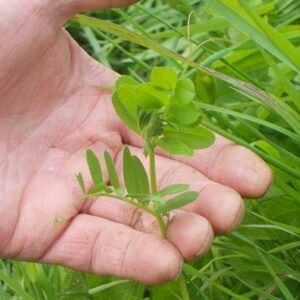 This makes it useful as a soil-fertilising plant and is often also used as livestock fodder. Burdock roots, young shoots, peeled stalks, and dried seeds carry numerous compounds that are known to have been anti-oxidant, disease preventing, and health romoting properties. Root used for flavouring drinks. Burdock is a good source of non-starch polysaccharides such as inulin, glucoside-lappin, mucilage, etc., that help act as a laxative. Additionally, inulin acts as prebiotic and helps reduce blood-sugar level, body-weight, and cholesterol levels in the blood. 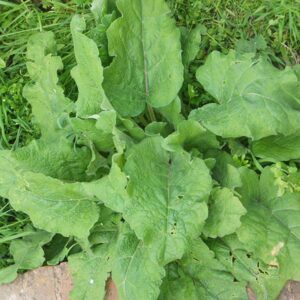 Burdock root is especially containing good amounts of electrolyte potassium and low in sodium. Potassium is an important component of cell and body fluids that helps control heart rate and blood pressure. This herb root contains small quantities of many vital vitamins, including folic acid, riboflavin, pyridoxine, niacin, vitamin-E, and vitamin-C that is essential for optimum health. Both vitamin C and E are powerful natural antioxidants help the human body stave off infections, cancer and neurologic conditions. They also act as detergent, sedative and tonic. Red clover has the ability to loosen phlegm and calm bronchial spasms. The fluid extract of red clover is used as an antispasmodic and alterative. Edible from the top of its bright flowers to the bottom of its beneficial taproots. The leaves are tastiest when they’re picked before the plant flowers. Sow thistle leaves are said to be a good source of vitamins A and C, thiamine, riboflavin, niacin, calcium, phosphorus, and iron. 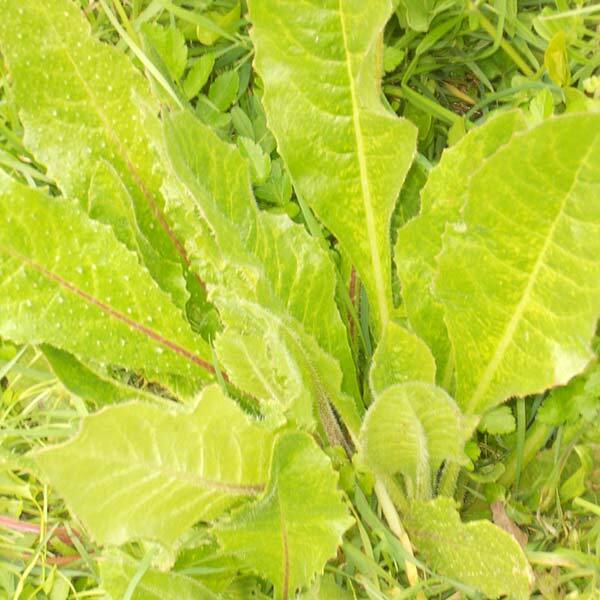 Young sow thistle leaves are wonderful in salad, adding substance and depth to the flavor of other greens. They have a slight bitter edge (just like some lettuces do), but they’re less bitter than dandelion leaves. The flowers are also delicious in salads. Older leaves have a more noticeably bitter taste if they are eaten raw, but cooking gets rid of the bitterness. I often put old sow thistle leaves in soups. 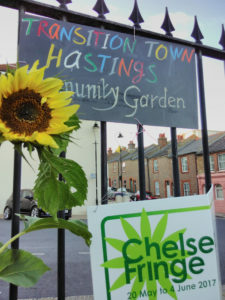 Transition Town Hastings can not take any responsibility for any adverse effects from the use of these plants. Always seek advice from a professional before using a plant medicinally.